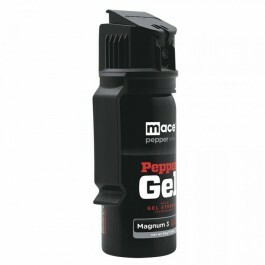 The Mace Pepper Gel Large Model contains 45 grams and sprays up to 10 to 20 short bursts with an effective range of up to 18 feet. The latest in pepper spray technology - Mace Pepper Gel is a patent pending formulation of maximum strength OC pepper (1.4% capsaicinoids.) The OC pepper is suspended in a sticky gel instead of a liquid. The gel formulation has several advantages: it sprays farther, is less contaminating to the surrounding area and the thick formulation sticks to an attacker’s face. Pepper Gel also contains an invisible UV Dye which marks an assailant and may aid in identification. 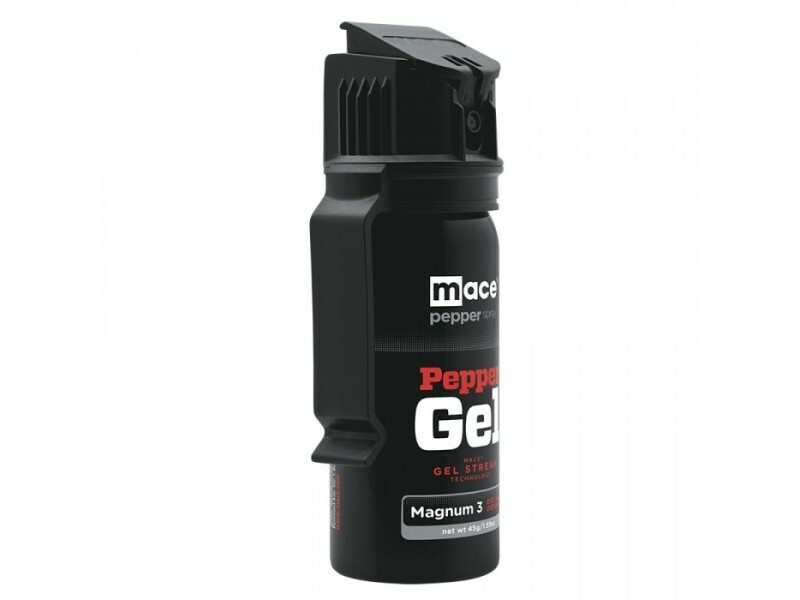 The Mace Pepper Gel Large Model contains 45 grams and sprays up to 10 to 20 short bursts with an effective range of up to 18 feet.